Anyone living in Metro Manila in the past decade has complained about traffic at least once a day. Think about the commute from Manila to Quezon City during rush hour: A round trip can take a quarter of the day. Being part of the government's Build Build Build team, however, makes me feel more optimistic. With several plans underway, I'm convinced that, by 2022, every city in Metro Manila will be in reach in 20 to 30 minutes. Since 2016, the Department of Public Works and Highways, under Secretary Mark Villar, started laying the foundation for the Luzon Spine Expressway Network, the 1,040-kilometer expressway network that will connect the northernmost and southernmost parts of Luzon. By building a total of 18 expressways with a total road length of 655 km, the project complements the existing expressway network spanning 385 kilometers. And once completed, travel time from SLEX to NLEX is targeted to be reduced from two hours to just 20 minutes. One of the earliest accomplishments of this network is the completion of the Laguna Lake Expressway, the 10-kilometer bypass road designed and constructed with a three-meter wide separate roadway designated for the exclusive use of bicycles and pedestrians. The project has reduced travel time from Taytay (via C5) to Bicutan from an hour to only 30 minutes. This was followed by the opening of the NLEX Harbor Link Segment 10, the 5.56-kilometer elevated expressway that connects MacArthur Highway in Karuhatan, Valenzuela to C3 Road in Caloocan in five minutes. This year, we expect substantial progress in at least three major projects in Metro Manila, including the Metro Manila Skyway Stage 3 Project, the C5 Southlink, and the NLEX Harbor Spur Link. When completed, the project will reduce travel time from Makati to Quezon City from two hours to only 20 minutes. The C5 Southlink Project (Segments 2 and 3), a 7.70-kilometer six-lane divided expressway, connects the R-1 Expressway to SLEX or C5 within 10 minutes. It's composed of two key segments spanning the R1 Interchange, Merville, E. Rodriguez, Sucat, and eventually SLEX or C5. When completed, it will reduce travel time from R-1 to SLEX from 40 minutes to only 10 minutes. 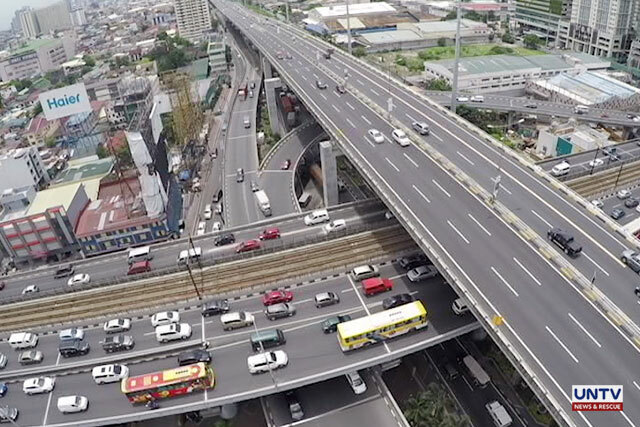 Finally, the NLEX Harbor Spur Link, a 2.6-kilometer four-lane elevated expressway, provides a direct connection from Radial Road 10 in Manila to NLEX in Quezon City. When completed, travel time from Quezon City to Port Area is predicted to be only be 15 minutes.